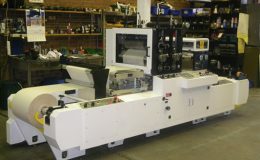 Manufactured as a free standing unit with a loose web feed in and out. 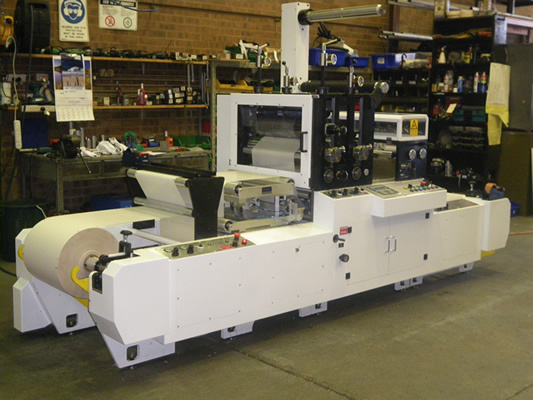 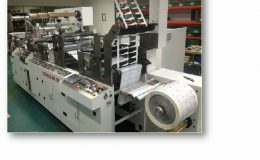 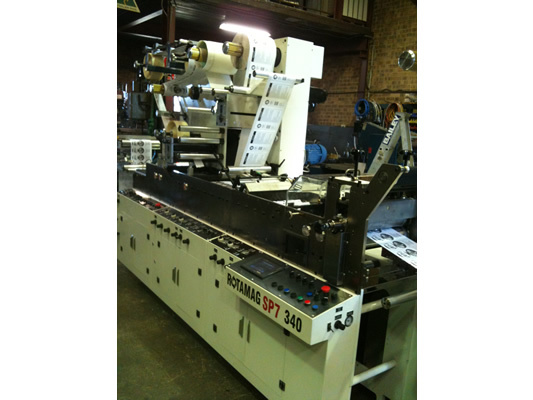 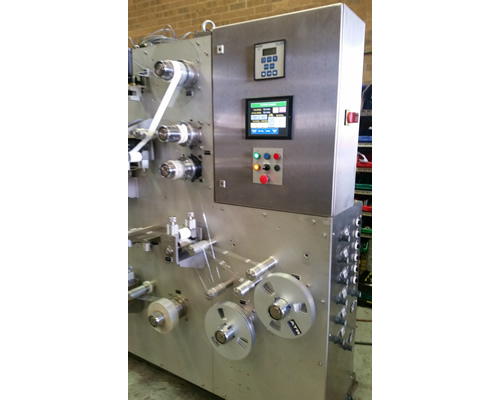 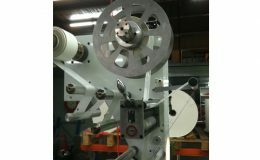 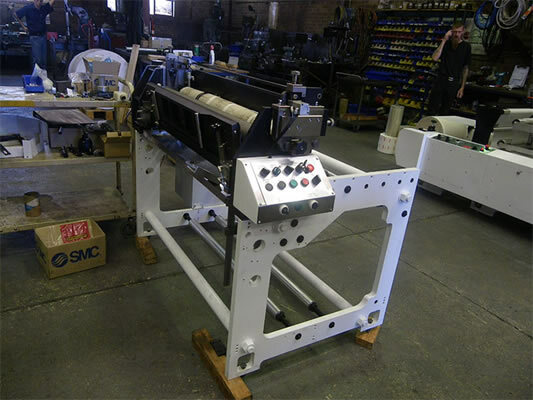 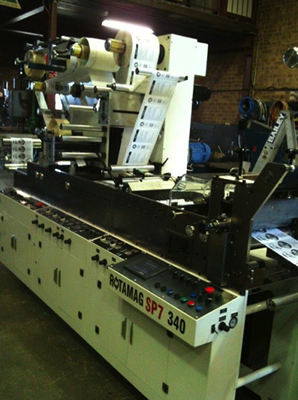 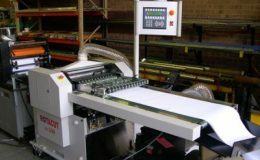 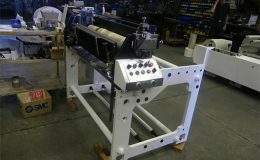 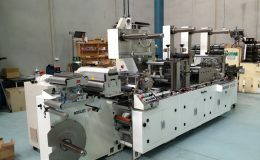 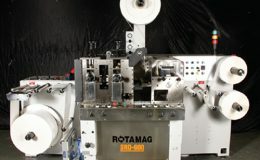 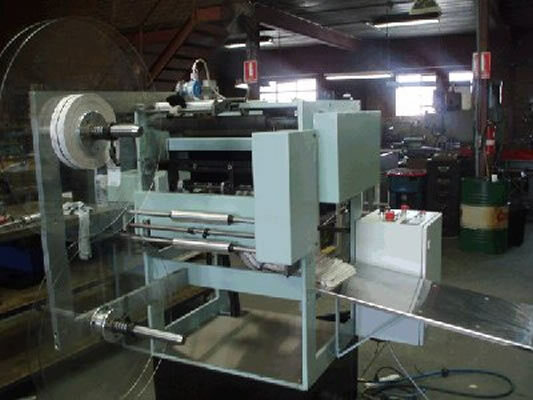 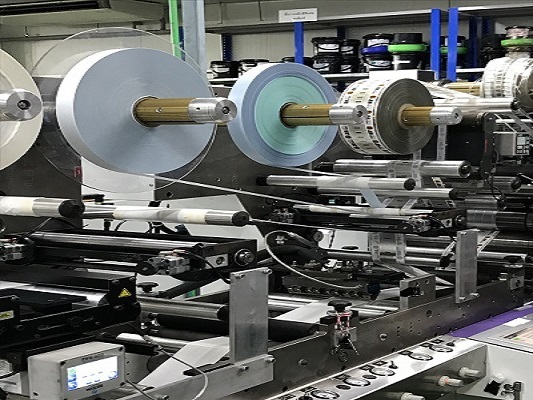 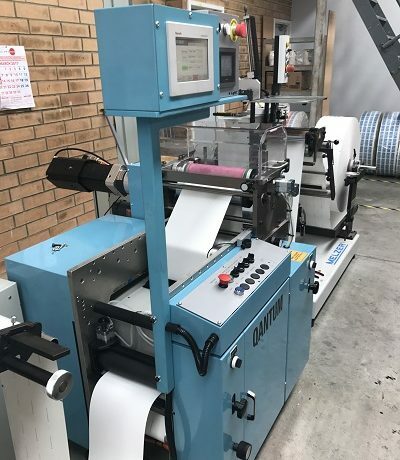 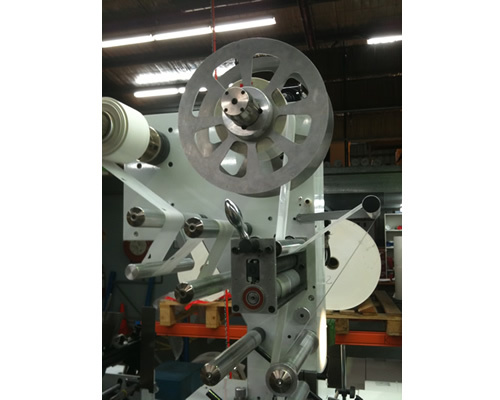 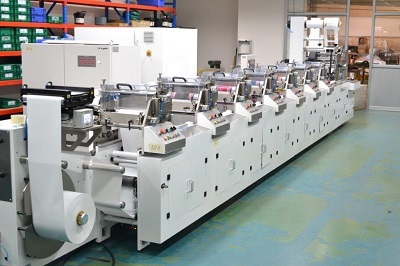 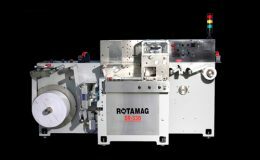 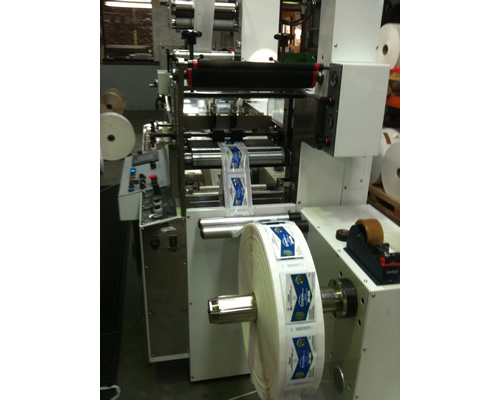 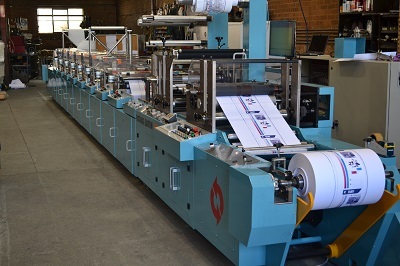 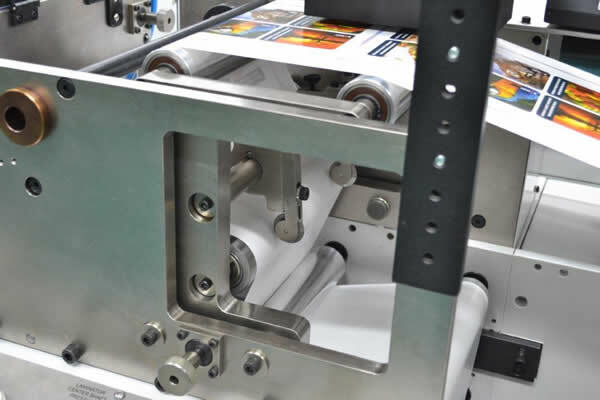 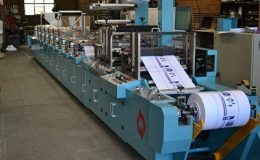 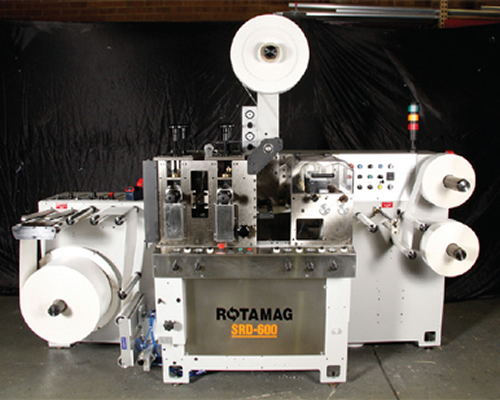 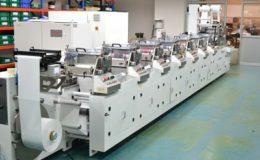 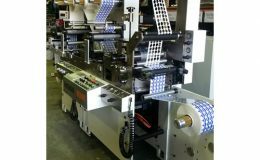 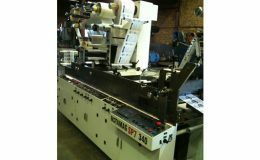 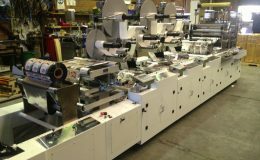 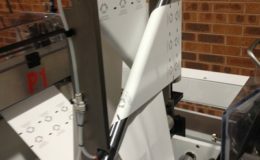 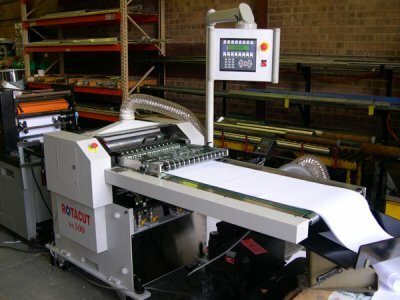 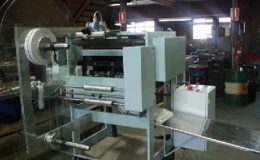 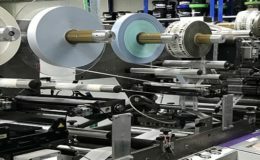 Can be set up to go in line with existing die cutting, slitter and other presses to inline coat over print in register or print repeat size from 8″to 28″ repeat on high and low speeds. 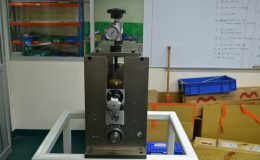 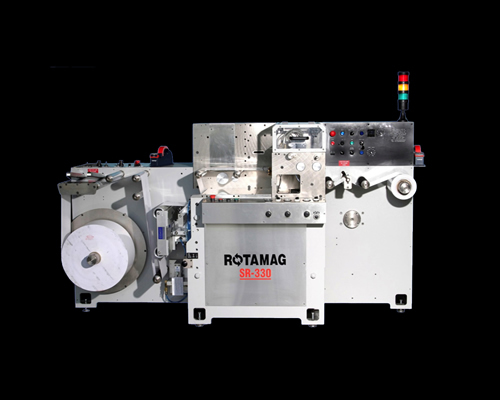 The unit is driven with (2) servo motors and can register to a very accurate position and register 340 degrees by forward or backwards for quick positioning. 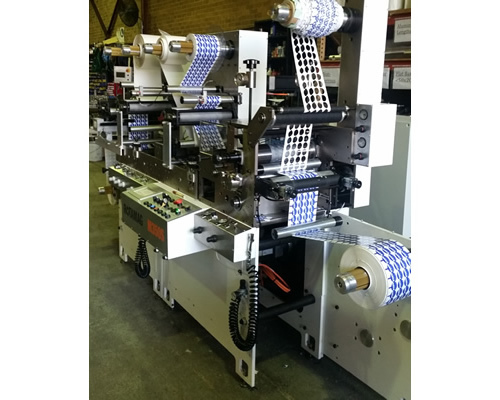 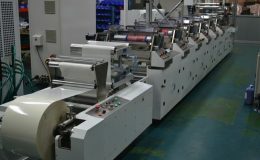 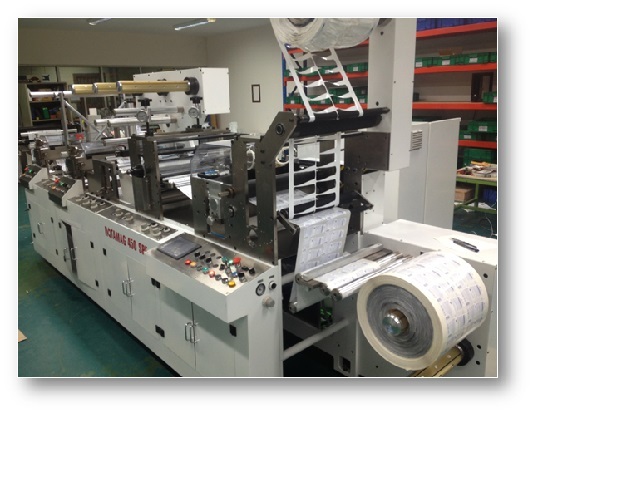 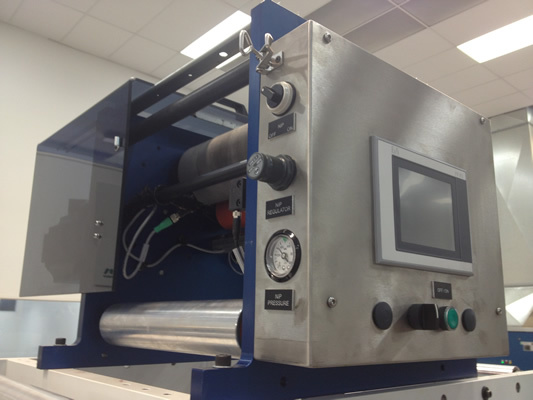 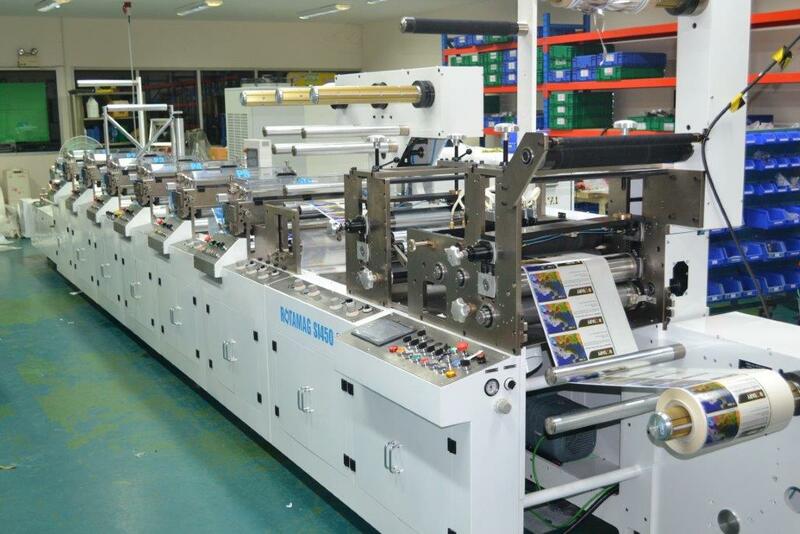 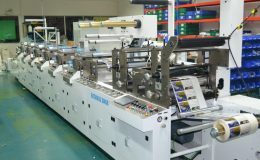 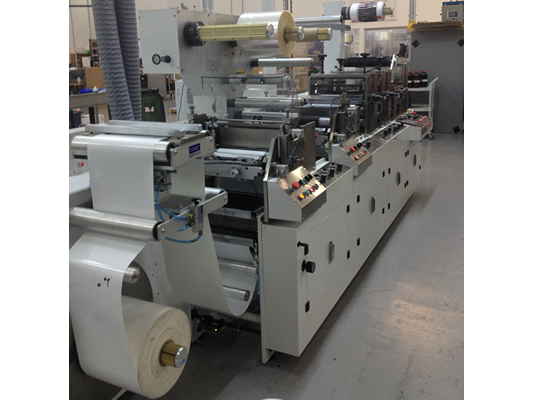 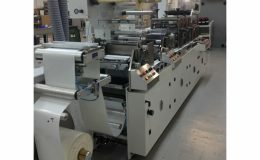 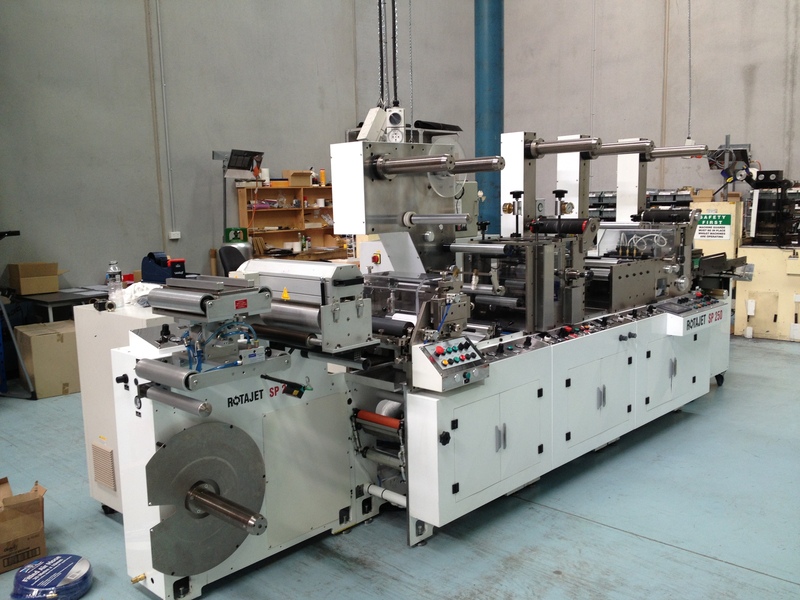 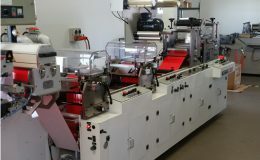 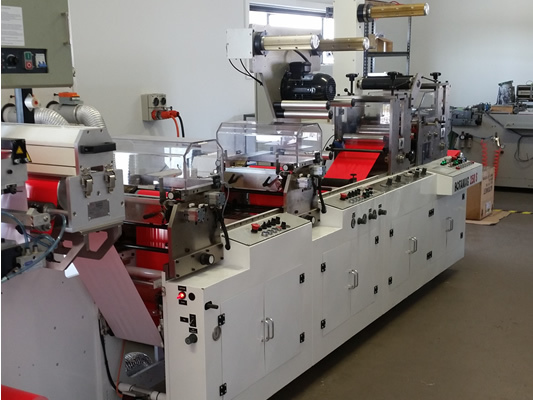 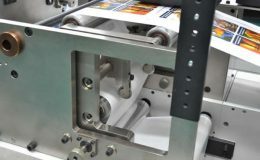 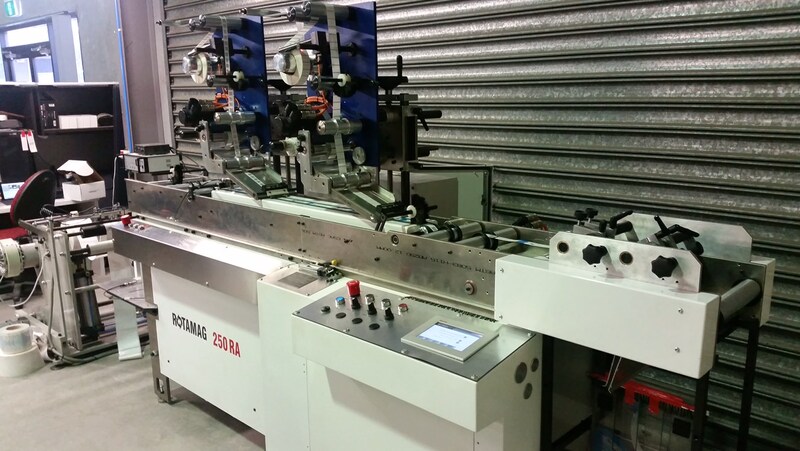 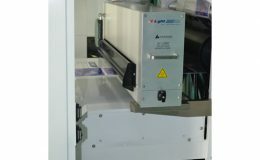 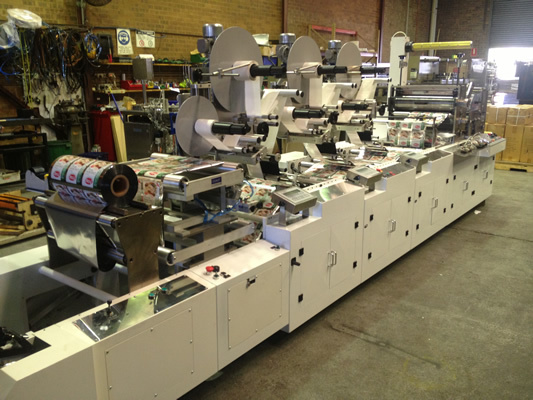 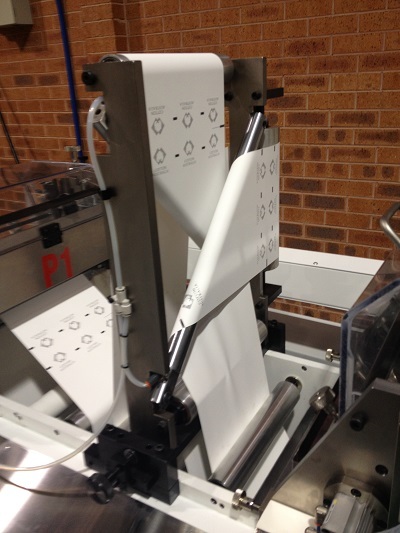 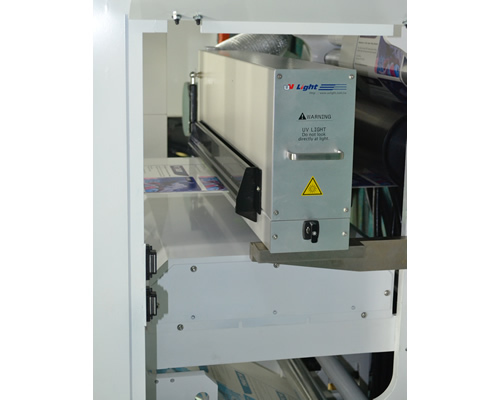 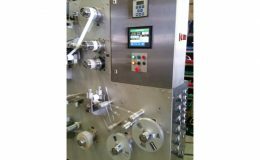 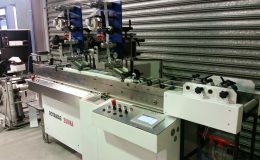 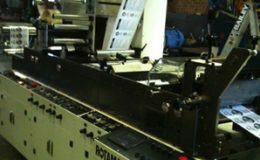 It is fitted with quick release print cylinder and anilox making the flexo unit operator friendly. 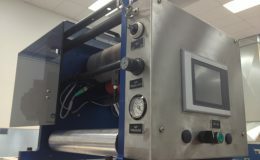 Open type ink chamber fill access make cleaning very easy. This unit is of solid design and manufactured using high quality components. 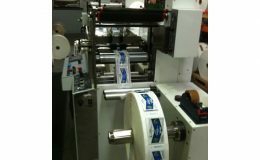 Inline coating over print in register spot varnish.